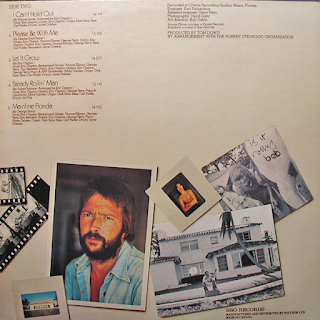 Yes, all of Eric Clapton's solo albums in the seventies were laid-back, but this is probably the most laid-back of all of them, and possibly the most appealing of all his albums. He had not recorded for nearly three years, going through a "drugs hell" period and sitting around, Elvis-style, watching TV. He then got his act together and started going back to his blues roots in his listening habits. People expecting "God"-like guitar solos, however, were to be disappointed. Its influences are the blues, of course, but also country rock, r'n'b, soul and, notably, reggae, which was still not too popular with the rock fraternity at the time, although Bob Marley's "Catch A Fire", from the previous year, had helped to change that. Clapton's voice is laconic and understated throughout, as is the backing and overall, it is a most relaxing album. As beautifully low key as a sunny afternoon in the house on the cover. Incidentally, though, I always felt the cover should have been taken on a sunny day, as opposed to the milky white sky it had. The rousing (comparatively) blues of "Motherless Children" kicks the album off, while "Give Me Strength" is a reflective, quiet slice of country-ish blues. The fifties shuffler "Willie & The Hand Jive" is as close to lively as Clapton gets on the album and "Get Ready" is an intoxicating, grinding piece of soul/rock, with slight reggae influences in the guitars, that almost "skank" at times. Clapton and the backing vocalist are in perfect sync throughout the track. "I Shot The Sheriff" covers Bob Marley's iconic reggae track quite convincingly, with Clapton and his band getting the bass, organ, guitar and drums right, which white artists often fail to do when playing reggae, like Led Zeppelin on "D'Yer Make'r", notoriously. "I Can't Hold Out" is a sublime piece of gentle blues rock, with an addictive keyboard riff underpinning it. It is quite soulful too, and exemplifies a real change from the rock of his Derek & The Dominoes material from a few years earlier. The drum rhythm is almost funky at times. "Please Be With Me" is a beautiful, gentle acoustic number. "Let It Grow" continues in the same vein, a bucolic, almost folk-rock number that is nothing like any of his previous material. 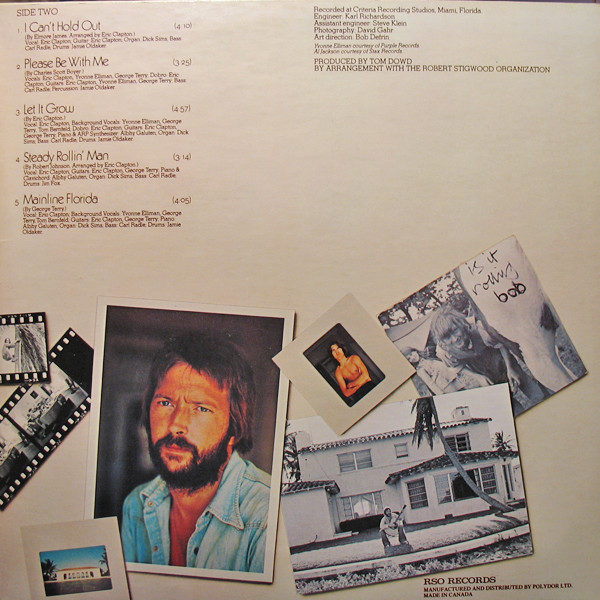 It ends with some evocative guitar from Clapton, but it is still pretty understated. 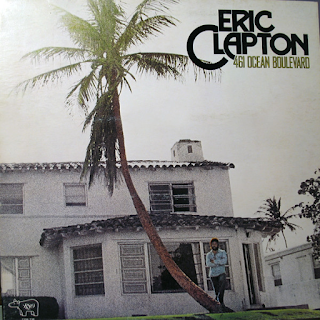 "Steady Rollin' Man" has Eric bluesily rocking on a grinding, shuffling serving of blues rock, that was of the style that would come to typify Clapton's work over the subsequent three or four decades. It is a great track, though, one of my favourites from the album. "Mainline Florida" closes the original album with another mid-tempo chugging rock number, full of atmosphere and understated riffs and vocals. Finally some guitar kicks in, but then it finishes, unsurprisingly. The whole album has been appealingly understated. You can just let it wash over you on a Sunday afternoon, as I am doing right now.